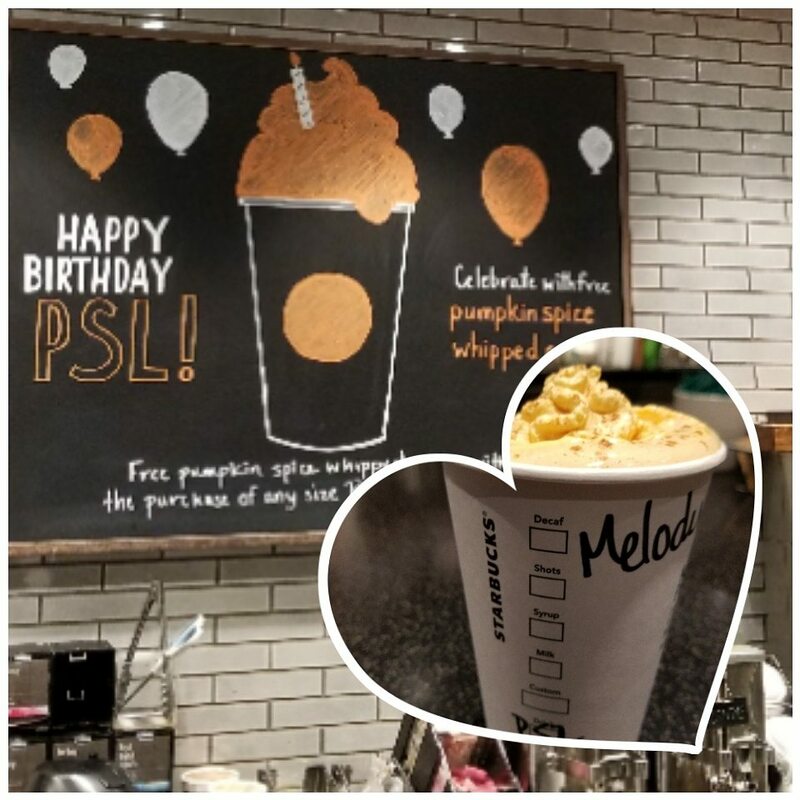 Happy Birthday Pumpkin Spice Latte! 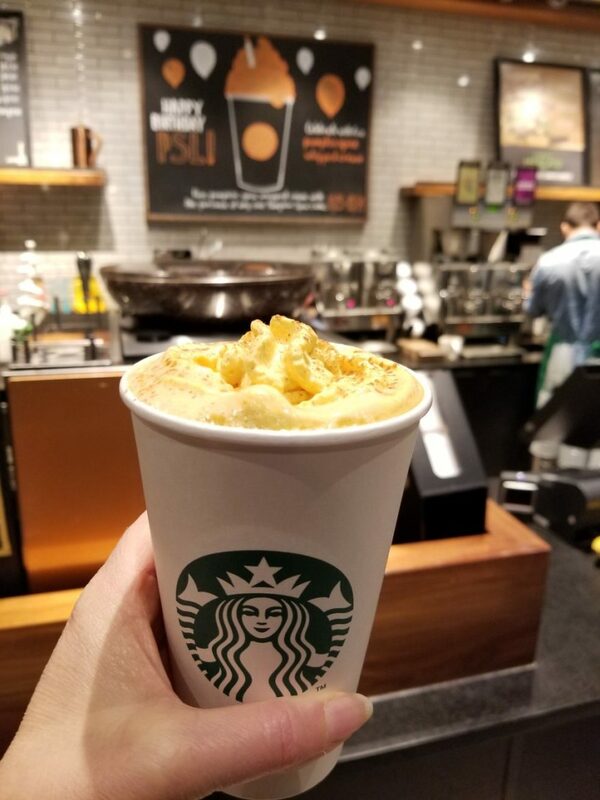 In celebration, Starbucks is offering free pumpkin spice whipped cream on the Pumpkin Spice Latte from now through Sunday the 8th! It’s delicious! Did you know that when Starbucks was deciding on name for the drink, it was nearly called the ‘Fall Harvest Latte‘? 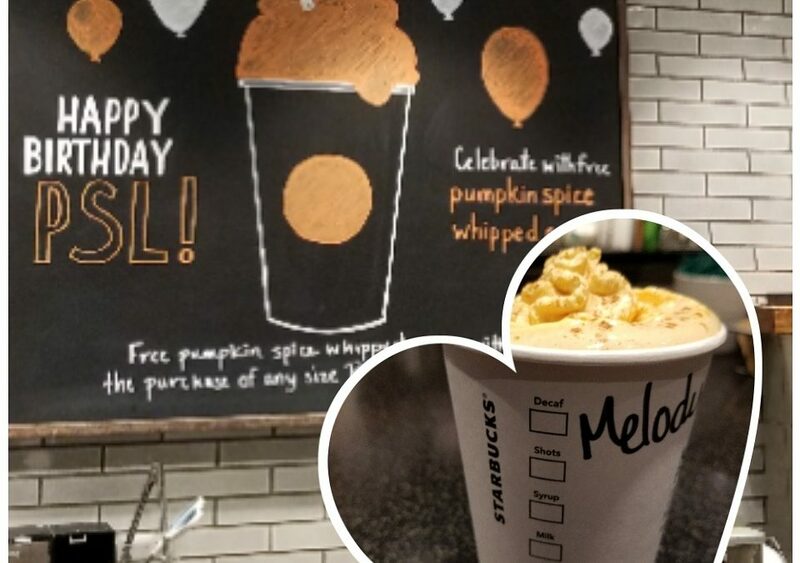 The Pumpkin Spice Latte (sometimes called the ‘PSL’) was tested in the fall of 2003 in Washington D.C. and Vancouver. It took off! And now your drink is fully pumpkin spiced from head to toe! Have your Pumpkin Spice Latte hot or iced! 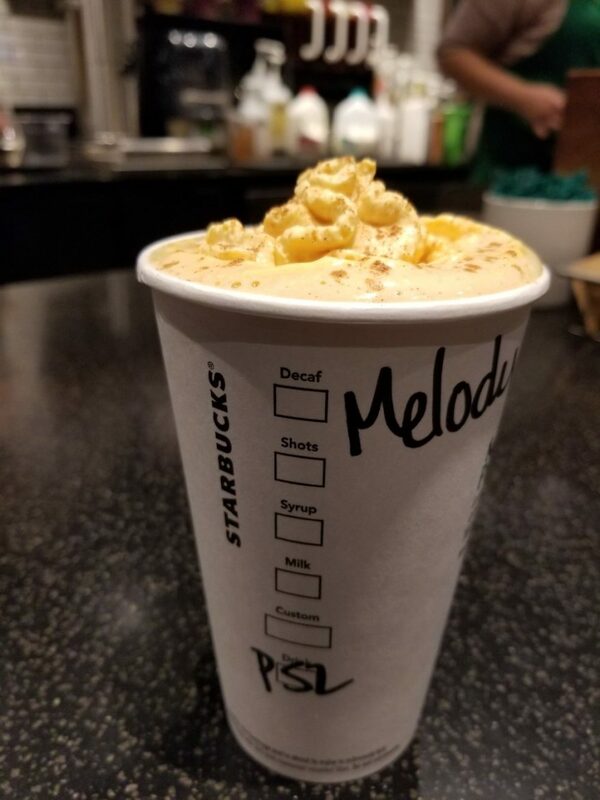 A very tiny number of stores have an innovative new version of the Pumpkin Spice Latte – it’s the same great pumpkin spice sauce but uses nitro milk! It's not too late to try the new Maple Pecan Latte. The Pumpkin Spice Latte has arrived; The Chile Mocha is right around the corner. Pumpkin Spice Latte Season has begun! Pumpkin Spice Latte Season is nearly here: September 1st is a big day!